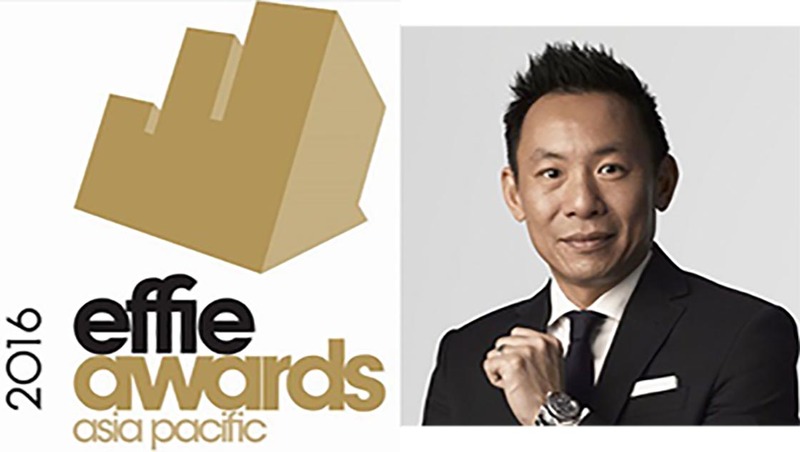 Singapore (12 October 2015) – Asia Pacific Effie Awards has named Cheuk Chiang, the CEO of Asia Pacific for Omnicom Media Group, as the 2016 Awards Chairman. Cheuk’s career to date spans across account management, strategy planning, and agency management roles in creative, direct marketing, digital, and media agencies. He has worked with a number of high profile brands including Coca-Cola, Heineken, Heinz, Hennessy, HP, Holden, HTC, Kraft, Mars, Myer, Motorola, Nestle, Nikon, Tiger Beer, and Unilever over the past 23 years. Prior to joining Omnicom Media Group, Cheuk had a long and successful spell as the Managing Director of CumminsNitro in Australia, and was recognized as one of the top executives in the region. He joined PHD as CEO for Asia Pacific in 2008, and has led the agency in achieving numerous milestones and highly coveted awards year after year. Cheuk was subsequently appointed as CEO, Asia pacific for Omnicom Media Group in 2013. Under his leadership and vision, OMD and PHD continue to grow progressively and have since become the most awarded media agencies and networks across the region. APAC Effie 2016, the third edition of the Awards, continues to celebrate the most effective marketing communications efforts in Asia Pacific. Call for Entry will begin in the coming weeks. Organized by the Confederation of Asian Advertising Agency Associations (CAAAA) and Tenasia Group, APAC Effie Awards honors the region’s most outstanding marketing communication works that have proven results in meeting strategic objectives. APAC Effie aims to champion practices of marketing effectiveness excellence in the Asia Pacific region, and provides the growing industry with a regional platform where the best campaigns are celebrated. Introduced by the New York American Marketing Association in 1968, the Effie Awards have since been recognized by advertisers and agencies as the pre-eminent award in the advertising industry and global standard of marketing effectiveness excellence. Today, Effie celebrates effectiveness worldwide with the Global Effie, the APAC Effie, the Euro Effie, the Middle East / North Africa Effie and more than 40 national Effie programs. CAAAA is a non-profit organization established by advertising agency associations in Asia whose key mission is to further the business interest of advertising companies/agencies in the region. CAAAA works in close collaboration with stakeholders in the marketing communications industry across the region, including North, South and Southeast Asia, to support uniform professional standards and norms, and to enhance the profile and stature of the industry. Tenasia Group specializes in staging professional and influential industry events that inspire. Building on their expertise in delivering high-quality industry events, award shows and conferences, Tenasia’s portfolio of businesses aims to provide a platform for the exchange of ideas and knowledge, shaping business opportunities in the region and celebrating achievements in specific fields.